Well, how have you been? I hope all is well in your world. The past two weeks I had some unexpected travel come up and get in the way of writing to you, which I think you can understand does sometimes happen with life. Including a few stops in the east coast, I also visited the west coast of Florida. Considering the weather is cooling down here in New York and pea coats are out already, I could not complain about visiting the south where they enjoy warm weather year round. I’m definitely more of a summer than a winter kind of girl! Because of traveling, my weeks were shortened, and to my genuine surprise the workload became selectively overwhelming. I say that it was a surprise because as an assistant responsible for keeping others organized and supporting them, I keep myself very organized with checklists, online tools to keep me on schedule and also take steps to be sure I keep my health in check. But something about the shortened weeks made me feel, and I’m being open and honest here, like I wasn’t able to get what needed to be done. It was not a great feeling. You make goals for yourself to complete and when it doesn’t happen, frustration steps in, making all of it even more stressful. I can imagine you feel this overwhelming feeling sometimes, wearing many different hats when running your own music career. For example, you have a show coming up, but you don’t just have to practice, you have to prepare a set list, get the band together, plan a rehearsal, let your fans know, pay tour band, promote, and that’s not even including the little things. However, I did not let overwhelm shut me down like it sometimes can inevitably do. I took steps to help me get through that feeling and I was able to accomplish what needed to be done. Here are a few tips that I used that you can implement right in the moment of overwhelm to get you out of it and back on track. 1) Prioritize your time – When I was feeling overwhelmed, instead of avoiding the work, I wrote down what absolutely needed to be done so that I could see exactly what my tasks were, instead of letting my brain just keep thinking of everything. This helped clear my head. Here’s a second tip: Add an estimate of how much time it will take to complete that task. Dropping off a box at the post office – 40 minutes. From there, you can see really clearly how to break up your day and get it all done. 2) Delegate what you can – I had to take a lesson from myself and delegate some of my tasks to a friend when I couldn’t be in two places at once. 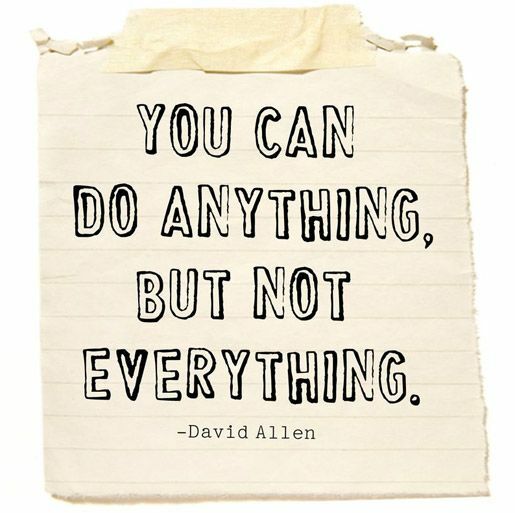 Delegating also doesn’t mean an assistant helping you, but also services/softwares to help you. Automatic reminders, pick up or drop off services can start to become worth it when your to-do list is at the max. Next time you feel overloaded, take a look at what needs to be done and if you really need to be doing that, or if someone else could be doing that for you. 3) Take a break – Some people see this as avoiding the workload, but if you haven’t stepped away for hours, or haven’t eaten, the effects of not resting can make everything worse. Your brain and body needs a break from time to time in order to function. If you haven’t eaten, take 20 or 30 minutes to step away and eat. Take a walk around the block. If you meditate, take the time to do it to alleviate the stress. I don’t recommend doing chores or personal errands – this still feels too close to work and doesn’t give your brain or body the break it needs. These tips will help you the next time you feel overwhelmed with running your career and the many hats it requires you to wear. Ultimately, it’s important to remember that these overwhelming moments are temporary and eventually will pass. And you can learn and grow even more from those moments. Have you ever felt overwhelmed? What steps do you take to handle the stress? I’d love to hear from you how you balance your sanity and everything that comes with being a musician and entrepreneur. I know it’s not always easy.